Do we coach for the thrill of victory and the agony of defeat? Or do we coach for the agony of defeat with seldom a thrill of victory? In my view, competitive sports is like real war. However, the major difference is war’s goal is to kill the enemy; for many, in war there is no second chance. This is not true of athletics. Even though a big-game loss happens, there is usually another game or another year to compete for the win. Secondly, in physical life, death is only a dream but later becomes a reality. In athletics, losing is not even a thought and hopefully later does not become a reality. What do you see in this photo? 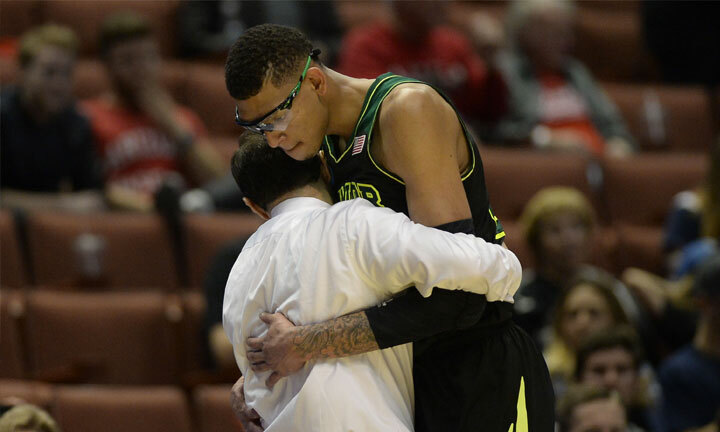 The coach-player hug in the photo is the ultimate benefit of coaching. These two men have experienced together highs and lows, ups and downs, joys and pains, wins and losses. The photo is worth a thousand words. Imagine the relationship of coach to player, man to young man, teacher to student, counselor to counselee, mentor to protege, trainer to trainee, and even father to child. Every father is wise to reach for this kind of relationship with his sons and daughters. Just the same, each coach is wise to love and mentor players as if sons or daughters of great value. Who in your life would you be able to hug in this manner? You may be the one who changes that person’s world.